Family Travel | Kids in Iceland | Kids in T.O. Photo by Lesley Pocklington of Swell Made Co. So when the time comes to bring the kids along, we already have it organized – thanks to Mom in T.O. Lesley Pocklington. The east-end mom and owner of the paper and gift company Swell Made Co. spent two weeks in August in Iceland with her family. That’s with a three- and six-year-old in TOw. In a mere five hours on one of the many direct flights from Toronto to Reykjavik, you are in a whole other world. So where to bring kids? Apparently everywhere. Read on for Lesley’s tips and top destinations for families. And for her full adventure, go here. Iceland is fascinatingly full of natural wonder. The Golden Circle and South Coast are sure to please with massive waterfalls and burping geysers, but don’t be afraid to veer off the beaten path to explore some little known gems. You don’t need to venture far. Hikes are short and easy, plus you can pack simple lunches. 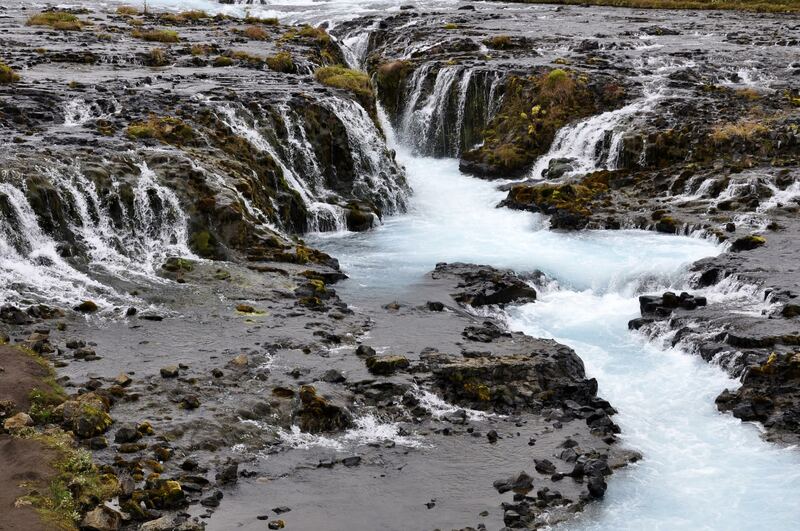 Bruarfoss Falls – These elusive icy blue falls are tricky to find, but are just minutes off the Golden Circle. This short hike was one of the highlights of our trip because we were the only ones there. Gjain Valley – Play along with the Iceland’s troll/elf culture and search for fairies in the magical land of Gjain. 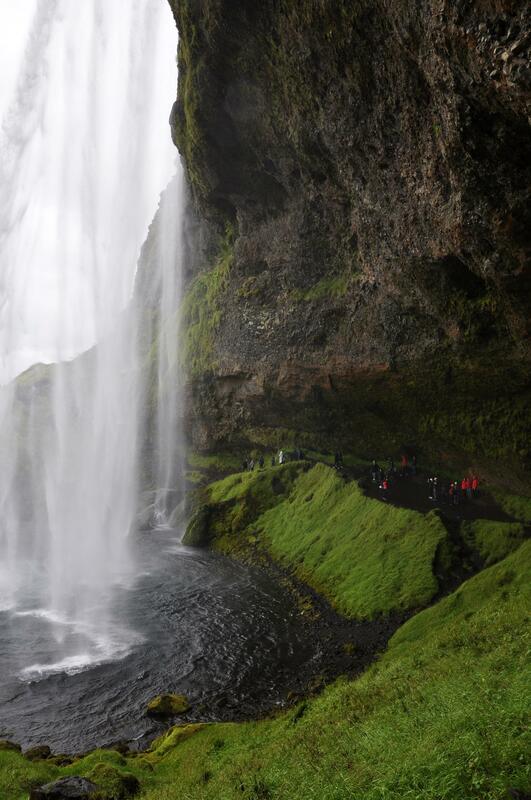 Another tricky spot to find, it’s named one of the most beautiful spots in Iceland. Reynisdrangar Beach – The black sand beaches in and around Vik are a tranquil place to play with sand and rocks. Visit the stunning coastline and stand in awe of the basalt columns. There is water, water everywhere from chasing waterfalls (too many to count), famous hot rivers to secluded hot pots and naturally warm community pools or lagoons. From Reykjavik to Hofn and every small town in between, you’ll find some of the loveliest community pools. It’s a civic right to have a well-appointed pool in your community in Iceland. They’re warm, clean, and fun (slides!) It’s the best way to experience Icelandic life. Just look for a sign with a head above wavy lines in any town, and you’ve found the pool. We swam once a day. As strange as it may sound, it was the highlight of our trip. Blue Lagoon – You can’t come to Iceland without taking a dip in the Blaa Lonid. The images of serene blue water are probably what peeked your interest in Iceland in the first place. Go! Enjoy. It’s as dreamy as it looks, plus kids are free. We enjoyed sparkling wine, while the kids had slushy drinks. Laugardalslaug is the largest pool in Reykjavik with a huge twisty slide. Part of the city’s largest park (Laugardalur), you should really make an afternoon of it. Complete with botanical gardens and a dreamy cafe. The kids will love the petting zoo with an epic playground. It includes mechanized “diggers,” a large ship structure and pillowy trampoline! Renting apartments or cabins will undoubtedly give you a peek into local life, allow your family to stretch out and maybe even do laundry. Affordable places are available across the country. You’ve heard Iceland is expensive. It’s true. You’ll feel the pinch when eating out as a family, which you should definitely do (it’s worth it). However, if your accommodation has cooking facilities you can save some money by shopping locally at grocery stores like Kronan. Buy local seafood, lamb, cheese/dairy and other goodies so you don’t feel like you’re missing out. Buy familiar foods to provide the little ones with a taste of home. Bakeries – Delicious and reasonably priced. Bakeries are the best way to stay on a budget and treat yourself to something local. Try the kleinur (twisted donuts) and cakes. Just try it all. Sandwiches for picnics are a “steal” at local bakeries. Hot Dogs – When in Iceland, do as the locals do and try pylsur with everything on it (plain for the kids?) Local, free-range lamb and pork hot dogs are served with ketchup, sweet mustard, remoulade and crispy onions. Dairy – Icelanders are proud of their dairy, and rightfully so. Try the skyr (yogurt) and ice cream. It’s the best you’ll ever have. Everything is well-crafted and pure. Our kids definitely suffered from withdrawal after 2 weeks. As did we. Getting there: Icelandair and WOW Air have reasonable direct flights all year round to Reykjavik. Icelandair gives you your first taste of family friendliness with special activity bags and water bottles for kids as you board. They also offer free meals for children and plenty of in-flight entertainment. 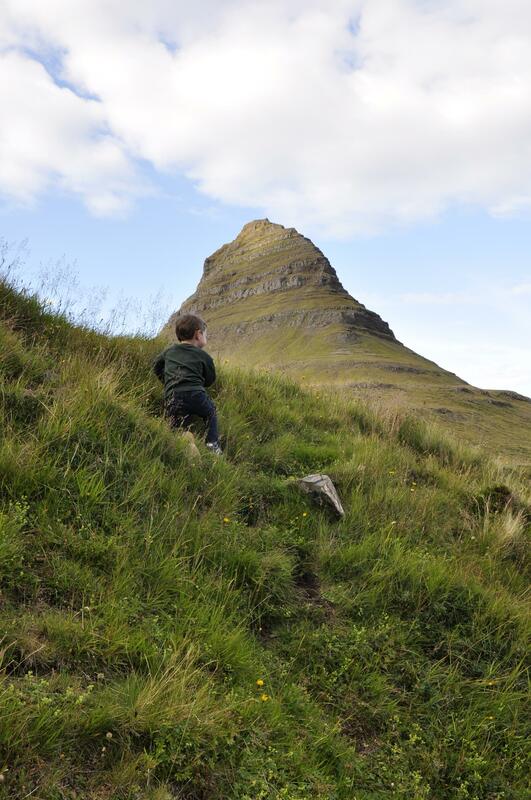 Getting around: You’ll need a vehicle to explore Iceland at ease with kids. It’s simply the best and most comfortable way. Bring your carseats and boosters, or rent them. For a reasonable fee, you can equip your car with wifi. We loved this. We almost never got lost and the kids were entertained for longer hauls. If you plan to drive off the main roads, be prepared to spring for a 4×4. Some roads prohibit anything less. When to go: The best time to go is the most expensive. High season runs from May to September, but you’ll also have the mildest temperatures. Just keep in mind you’ll also get the most daylight. Don’t worry. Accommodations are well equipped with blackout blinds.